It wasn’t hard for once to find the good news in the annual Labour Force Survey of Trade Union Membership which was released by BIS on Wednesday. For the first time in over a decade union membership increased and given the political, economic and industrial environment in which unions are operating we should celebrate this and acknowledge the fantastic efforts of our union activists and organisers. 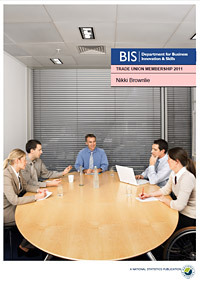 No trade unionist could be content that just 26 per cent of the working population are in a union but we should be pleased that density has remained stable (union density was unchanged over the last year) and that whilst between 1979 and 1995 union density fell by almost 25 per cent, between 1995 and 2011 it fell by just 6 per cent. Whilst membership and density is important, it’s through collective bargaining that unions really make a difference for our members and set the standard for decent pay and conditions for all workers. Here the news from the Labour Force Survey was less encouraging. Overall, collective bargaining coverage fell below 30 per cent and there was a worrying fall of just over 4 per cent in the public sector. In his post on this blog earlier today, my TUC colleague Ben Moxham commented on the composition of trade union membership and the fact that 40,000 of the 59,000 growth in union membership last year was amongst women workers. Union density amongst women has now been higher than amongst men for eleven consecutive years. 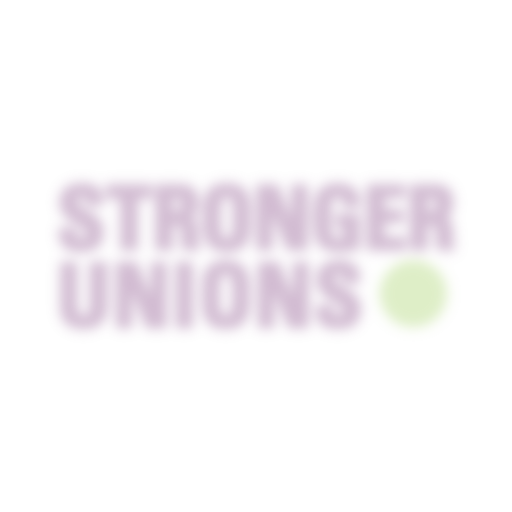 It‘s when we compare the organisational strength of unions in the public and privates sectors that the key challenges and priorities for unions come into focus. Despite the welcome uptick in private sector membership and density this year, since 1995 the organisational strength of unions in the sector in which most people work has fallen by almost 25 per cent. Over the same period membership in the public sector rose by 4 per cent although as an organiser it’s always hard to hear that public sector density fell between 2008 and 2009 largely because union membership didn’t keep up with the growth in the public sector workforce. So how do these latest figures inform the organising priorities for the TUC and our unions over the next few years? Firstly, and you won’t be surprised to hear this from me, there should be no retreat from the hard graft of workplace organising. If as a movement we have anything going for us it is that we have a model that we know does the business; high membership, high density, decent levels of collective bargaining and workplace reps delivering on the issues that matter. Alongside this we have to consider measures that will enable unions to organise to the scale required, particularly in the private sector, if we are to move density upwards and increase membership by hundreds, instead of just tens, of thousands. This response may include looking at how we remove some of the legislative obstacles that prevent unions from organising greater numbers of workers and also considering how we use existing bargaining relationships to recruit, organise and represent workers in supply chains. The ‘Strong Unions’ section of the recently launched TUC Campaign Plan sets out the direction of travel for unions and the TUC over the next few years. This will be complimented by the strategies that individual unions develop in response to the particular challenges of the sectors in which they organise. It’s only a whole movement response that will have any chance of re-establishing union strength and influence to the level required to give our members and working people in general the means by which they can win a better life both in and beyond the workplace. Despite the figures as a lifelong union member, belief and morale have never been lower. In my experience, a closed clique run branches entirely for their own self interests – actively discouraging active participation and obstructing challenges. They remain aloof and remote from members but in close contact with management. Some longstanding reps are managers. Heartbreaking and depressing. There is still a huge job of work to be done but I think that workers are being to understand that they cannot rely on their employer for justice at work, nor can they rely on the law. The only people who can protect them are their fellow workers and their trade union. Where are the unions? Are the leaders and officers on an extended holiday or another member-funded jolly perhaps of several years because I hear of no noticeable local activity here in Mid Glamorgan, South Wales in such a long time. When L’Oreal closed many took redundancy, some were offered a short term (3 year) wage guarantee to continue their employment with another company that would open on the same site. A few years on and those that once earned up to £18/hour effectively as advanced process technicians are now earning a little over £7/hour. If they work overtime it is paid at flat rate. There is no union there. Saying that from what I hear from ex-emplyees of L’Oreal the union reps were absolutely shite, lazy and practically useless. However this did not stop these so-called reps from enjoying union member funded “conferences” or jollies as they really were – an excuse for a good holiday and plent of beer. Exactly what was rotten in many unions for too long. Now the workers are paying the price for rotten reps and piss-poor unions. There is an IT outsourcing company on the Waterton Industral Estate in Bridgend called CGI (used to be called Logica). It started a real expansion in 2006/7 and was offering £8/hour for IT Support work. It is still paying £8/hour for this work after 6 years. The Jennifer Griffiths Recruitment agency in Bridgend is doing with this company what it did in the past with Sony on the Bridgend Industral Esate (closed down a number of years now). They are recruiting people to work for this reprehensible company on a temporary on-going contract. I know from friends who have worked there that many are employed for a period, fired and re-hired through JGR or other complicit agency. No unions there I think. This employment model is being repeated all over the UK and is depriving workers of any hope of well-paid stable employment and decent careers. Who can get a mortgage with income from a temporary job? Couple this with the dire shortage of social housing (thanks for sweet F.A Blair and Brown) and things are looking increasingly grim for the working class today. I see and hear no workers’ champions, the union bosses seem to have left in the boat that took the elves away as in the Lord of the Rings. The unions should be canvasing all those places with no union or low union membership. Canvassing on the high streets, etc. But one hears nothing. You have to push out your chin, tighten your gut and become agressive to get the message across whilst taking the blows. The union bosses are feeble and jaded, their reliance on the labour party a waste of time. Talking of the Labour party (where the words “Working class” and “socialism” are banned) – changing your policies and the noises you make to get votes is useful short term but useless and self-defeating long term. Populist politics lead any party using them to be blown about by the percieved wind of public opinion – usually leading to a complete abandonment of political conviction eg: the Labour Party. Lastly always remember that being part of the perceived middle class means that you are receiving a few quid per hour more in a job with a different activity content over that of a working class person. Warning – wreckers and splitters alert. Lets attack the unions and ordinary reps and not the bosses. Unbelievable. That is the point. The “bosses” are not being challenged in any meaningful way in any sphere of society. Please do not reduce such an important debate to meaningless soundbites and insults. If you disagree with the points made put up a well evidenced counter argument and ask for clarification of claims you feel are erroneous. There is no excuse whatsoever for attacking rank and file trade union reps as “absolutely shite, lazy and practically useless” what sort of meaningful debate are you talking about? The vast overwhelming majority of reps are decent hard working people putting their jobs, career and family income on the line for their members day in day out. If anyone is unhappy with their reps then they should stand against them in elections and see if they can do a better job. No wonder we have problems in TIGMOO when you have such cretins slagging their unions off. Trade Union membership: We are the ones we have been waiting for 2011 trade union membership figures released Trade Union Membership 2010 Trade Union Membership – Steady as we go!